Hi there! I hope you’re having a wonderful day. I know that it’s been warming up around Michigan so I’m excited to read outside! I was sent a copy of this book by Harlequin Teen for an honest review, and I’m pleased to shared it with you today. 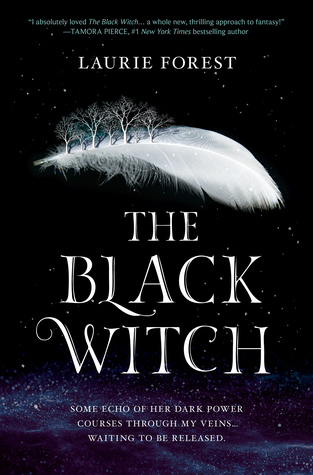 Synopsis: A new Black Witch will rise…her powers vast beyond imagining. Gardner, who drove back the enemy forces and saved the Gardnerian people during the Realm War. But while she is the absolute spitting image of her famous grandmother, Elloren is utterly devoid of power in a society that prizes magical ability above all else. I don’t read reviews prior to reading books. I don’t think it’s a bad thing if you do! I like to form my own opinions of books before I see what others have to say, it’s just a personal preference of mine. That being said, I read a few of the reviews of this book when I was about half way through the book. I had been enjoying the book so far and was adding it to my Goodreads (finally). It had a low, low rating of 1.88 stars (avg), and it really caught my eye. I found that there was a reviewer on Goodreads who expressed extremely negative opinions about the book calling it racist, homophobic, and ablest – to name a few. While I don’t agree with her opinion, what really bothered me was that people jumped right on board with her before reading the book themselves and began to rate the book as 1 star. I think it’s fine that she rated it so low! People are entitled to their own opinions! However, it is unfair of the other members of Goodreads to immediately assume that that reviewer’s word is gospel. Her opinion of the book is just that – an opinion. What I write in my reviews may differ what you think about the book, and that is okay! I am allowed to think what I think and you are too. I think one thing people are forgetting here is that we need to read and think critically. And that means that we need to encounter things first-hand to see if things match up to what is being said before jumping to immediate conclusions. With that rant out of the way – here are some more thoughts I had about the book! I enjoyed this book! It was definitely high fantasy and a little different from the ones I’ve read before. I liked the various descriptions of the people and how intricate it was. I did find that a little confusing at times though, but not enough for it to really be a bother. I found Elloren to be really annoying at first. She was irritating and I hated the thought process she went through and how she viewed her world. However, stepping back I could see the perspective the author wanted me to take. I read in the author’s letter that she was trying to mimic and grow a person who is prejudiced deeply, and Elloren really shows it. One thing I didn’t understand was how much more progressive her brothers were versus Elloren because they were raised in the same environment. The development of the other characters was a fun thing to read about. I liked seeing the veil of prejudice come up as Elloren attended University. I felt like it showed how sheltered she was and ignorant of the world. My favorite character is Diana by far. She is strong willed and fierce. The language of the book was a little awkward and repetitive at times, but I felt like it was pretty good for a debut novel. Overall a good book to read, especially if you have time! Hi guys & happy (belated) Easter (if you celebrate it, my family does). I’m here today to celebrate the recent release of this awesome novel by Melissa de La Cruz Alex & Eliza. I was enamored with this book! It was sweet and lovely. I love Eliza and her sisters – they seem to really pop off the page and become the women I would have wanted to be friends with. Eliza is like a real-life Lizzie Bennett – spunky, spirited, and quick-witted. She quickly became one of the women I love in literature. I definitely need to do more research on her! I completely agree with my original self! It was a sweet read all around and I really enjoyed myself when I read it. Eliza was super fun to read and I love the voice that de La Cruz gave her. She is the woman I would have wanted to be if I had been alive during the Revolution. Throughout the book she becomes less of a woman in history (lesser known, too) to someone who is living and breathing within the pages. I love the life that de La Cruz has given her. I haven’t jumped on the Hamilton craze yet. I know, I know, it’s pretty much blasphemy these days to say that but I haven’t had time to seek out the music. That being said, I really love how this illustrates history. I’m a big history junkie and this was right up my alley. This reminded me of a colonial version of Pride and Prejudice. The banter between the main characters and the general voices of the characters really carried that vibe. 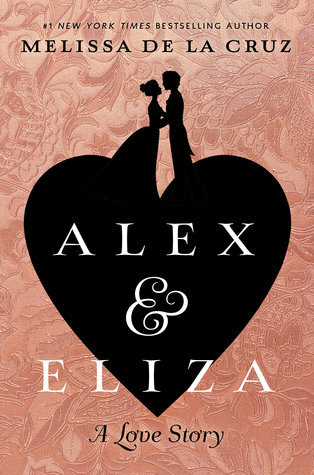 I like to think that Darcy is a hopeless romantic at heart, so it was fun to see Alex’s side of the story as well as Eliza’s. Because I loved this book so much I’m giving away a hardcover copy! It’s US only (sorry guys, shipping isn’t cheap!). It ends on the 22nd (1 week from today). Just click the Rafflecopter link below! Hey there! I’m so happy to be working with Rockstar Book Tours today to bring you a review on Royce Rolls, the latest by Margaret Stohl. Sixteen-year- old Bentley Royce seems to have it all: an actual Bentley, tuition to a fancy private school, lavish vacations, and everything else that comes along with being an LA starlet. But after five seasons on her family’s reality show, Rolling with the Royces, and a lifetime of dealing with her narcissistic sister, Porsche, media-obsessed mother, Mercedes, and somewhat clueless brother, Maybach, Bentley wants out. Luckily for her, without a hook for season six, cancellation is looming and freedom is nigh. With their lifestyle on the brink, however, Bentley’s family starts to crumble, and one thing becomes startlingly clear– without the show, there is no family. And since Bentley loves her family, she has to do the unthinkable– save the show. But when her future brother-in- law’s car goes over a cliff with both Bentley and her sister’s fiance inside-on the day of the big made-for- TV wedding, no less-things get real. Told in a tongue-in- cheek voice that takes a swipe at all things Hollywood, Royce Rolls is a laugh-out- loud funny romp with an LA noir twist about what it means to grow up with the cameras rolling and what really happens behind the scenes. Here’s a little about the author! The #1 New York Times bestselling author Margaret Stohl got her start as the head of the Dark is Rising fan club in third grade in a highly gifted magnet school in Los Angeles. Going on to study at a creative writing program at UEA Norwich, England, and to write and direct an autobiographical one-act play at Amherst College—where she founded the school’s first women’s literary magazine, Madness This—Margaret knew she was a writer. After optioning two feature screenplays to Nickelodeon Pictures and Clasky-Csupo, Margaret began a sixteen-year career in videogames, co-founding 7 Studios game developer with her husband Lewis Peterson, and contributing to both Marvel’s Spiderman (ActivisionBlizzard) and Fantastic Four (7 Studios / ActivisonBlizzard) among many other titles—Dune 2000; Command & Conquer Red Alert Retaliation; Pirates of the Caribbean The Curse of Jack Sparrow; to name a few. I had been putting off reading this book for a long time and I don’t know why I did anymore. After getting around the Core chapter I was instantly hooked into Bent’s story. She’s one that truly jumps off the page. One of my favorite parts was the family dynamic that is written into te story. It begins as this rigid business like thing but as the story goes on it evolves into something more closely resembling a real family. I love the relationhip between Bent and Bach. They have each other’s backs and it’s cool to see them fight for each other. I also liked the moments when the characters would do something out of their scripted roles. It made them more human and unpredictable. A defining characteristic of Bentley is her undying loyalty to her family. She goes to the end of the Earth to help them and doesn’t expect anything in return. (Though I think the latter is from years of doing these things and not being recognized for it.) I love that about her character, but I also love the way she developed into herself. She becomes her own woman and begins to assert herself, putting her dreams and wishes as a priority too. There’s a lot more mystery and intertwining pieces to this story than I originally thought. It was exciting to see how they all connected in the end and a bit of a surprise. I like how Stohl keeps you on your toes the entire time. There’s a giveaway for the book here! 3 winners will receive a finished copy of the book, US only. Click here for the link to the Rafflecopter! Be sure to check out the other stops on this lovely tour! Hey there! I’m here with a review on Becky Albertalli’s latest The Upside of Unrequited. This is due out this Tuesday!!!!!!!! This book was a riot! I could not put it down and I was so excited to see that it was in our bookstore’s January whitebox. rejection. So she’s careful. Fat girls always have to be careful. I remember before I finished this book, I was riding the train on the way to Chicago for a Model UN meeting and I told my friend that the book was making me so happy and I couldn’t wait to finish it. About 20 minutes later, I walked back to her seat sobbing because I had finished the book. Needless to say, this book was phenomenal. I loved it every minute I spent reading it. Last year I read Simon vs. The Homo Sapiens Agenda (review) and loved it. I was excited to read more by Albertalli, and I was definitely not disappointed. This is one of the books that, when I finished it, I instantly wanted to pick it back up and read it again. Is it possible that I can wipe my memory and reread it? Is that a thing? Better question, why isn’t it a thing yet? I bet you so many book lovers would love this. There is nothing better than reading a wonderful book for the first time. But, I digress. Molly Peskin-Suso is so wonderful I wanted to hug her the entire book. I love the way her character develops throughout the story. She is absolutely hilarious – I found myself laughing out loud in public (no shame at all, the people staring at me were just jealous they weren’t reading what I was). She is a girl who struggles to find her voice and when she does it’s absolutely amazing. The other characters are so wonderful too. I think I started eating more Cadbury Mini Eggs just because of Reid. Seriously guys, I’ve had more bags this year than usual and I’m totally tempted to buy more bags when they go on sale after Easter. Cassie is spunky and I love her spirit. Her character is a nice balance to Molly and it’s fun to see her interact with Molly. The entire Peskin-Suso family has to be one of my favorites, up there with the Weasleys. I love how mismatched they are and that even though they’re unconventional, it shows how much they are just like any other family out there. I love the theme of sisterhood throughout the book. I have three sisters and a sister-in-law myself so I grew up with a lot of female bonds in my life. I love how Albertalli illuminates this special relationship and how it’s different for everyone. It’s sad to see Cassie and Molly grow up and apart but this is just a part of life that had to happen eventually. It’s one of the main struggles of the plot and I loved how it worked out in the end. This is one you definitely need to get your hands on this year! Hi guys! I feel like I owe you an apology for being so on and off with blogging here (I realize I don’t, but I feel obligated to do so), so here is my sorry! I have been extremely busy with life things and it’s hard to find the time to sit and write. I have been working on school and other things like Justine Magazine (more on that later). So, I’m trying really hard to get back into the swing of blogging. I’ll be back again once I get things worked out and school starts to wind down (only 30 days left!!!!). This means I’ll be writing when I can and maybe not always on time, so please bear with me while I get through everything! Since I last blogged here, I published a few more articles on Justine‘s website. The first is part of a series of articles I’ll have out about How to Bookstagram and I start with an interview with Nani (@booksthetics). The other one is a list of summery books to help you stay warm in these wintery days! I’ve read every one of the books listed and I enjoyed them all! The Loose Ends List was definitely one of my favorites on there, but all of them are ones you definitely want to check out. I’ve gone to a few book signings in the past week! They were incredible and well worth the three hour drive to Chicago. I had the opportunity to meet Laini Taylor (Strange the Dreamer) and Laura Ruby (Bone Gap) on Monday, and I met Cecilia Vinesse (Seven Days of You) and Jilly Gagnon (#famous) on the 30th. I also go to talk with them individually for Justine and hopefully those pieces will be out soon! I was accepted to New York University, and until financial aid comes through am not committed to a college. Things are falling together and I’m excited to see where this takes me! It has been a tough year for me, and I’m almost to the end. I honestly can’t believe how fast time has flown.